Miss Hallie Quinn Brown was not a native of Greene County. She was born in Pittsburg, Penn. about 1845, the daughter of Thomas and Frances Brown, both of whom were former slaves. Her father was the son of a Scottish woman who owned a plantation in Maryland and her African-American overseer. Thomas purchased his freedom as well as that of his sister, brother and father. Her mother was born in Virginia and freed by her grandfather, a white Revolutionary War officer and planter. Following their marriage Thomas became a steward and express agent on river boats which sailed between Pittsburgh and New Orleans. The Browns accumulated considerable real estate before the Civil War and desired to provide their six children with the opportunity to acquire an education. While living in Pittsburgh, their home became a station on the Underground Railroad. The family moved to Ontario, Canada and then came to Wilberforce when Hallie and her younger brother attended Wilberforce University. Hallie graduated in 1873 as salutatorian with a BS in education. She received an MS in 1890 and in 1936 an honorary Doctor of Laws from the University. Her first teaching position was at Sonora Plantation in Mississippi and from there to Yazoo City, Miss. public schools. She became dean of Allen University in South Carolina and later Tuskegee Institute in Alabama. She also spent four years teaching in the Dayton public schools. 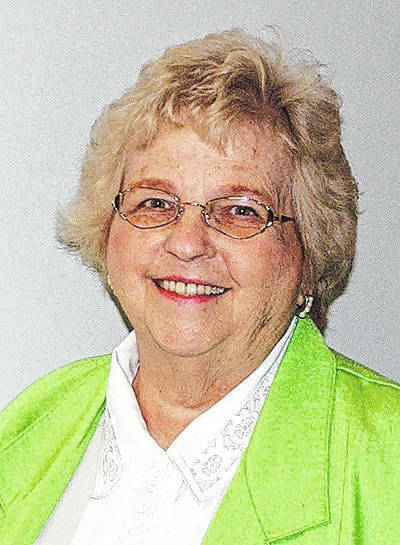 Throughout her career, she taught both children and adults. She was appointed professor of elocution at Wilberforce. Instead of beginning immediately, she was sent on a lecture tour. For the next several years she traveled as “reader” with the Wilberforce Grande Concert Company, a group designed to raise funds for the University. Unfortunately, little money was raised and so the group was disbanded. She began to travel extensively throughout the United States as lecturer and elocutionist. Her ability to charm and inspire audiences kept her in high demand. Just before the turn of the century, she toured Switzerland, France and Germany. She spent considerable time in England and was entertained by Queen Victoria at tea in Windsor Castle. She was the entertainer at a special program for Alexandra, the Princes of Wales and was invited to attend Queen Victoria’s Jubilee as the guest of the Lord Mayor of London. She appeared before King George V. and Queen Mary in a command performance. Miss Brown (she never married) was very active in the Women’s Christian Temperance Union, both in the United States and England. She was a speaker at the third biennial convention of the world’s WCTU Conference which was held in London. She gained an international reputation for her vocal presentations as well as her speaking skills. She had a very large repertoire consisting of more than ninety different talks which she was able to present on a variety of subjects. She was very concerned about her alma mater, and often spoke about the work that was being done at the University to educate young African-American men and women. She traveled extensively on behalf of the school, seeking funding for the work that was being done. She was so sincere in her presentation that Miss E. J. Emery of London provided fifteen thousand dollars for the erection of a girl’s dormitory. When she returned to Wilberforce she lived in the family residence which she called “Homewood Cottage.” The house was placed on the National Register of Historic Structures but was destroyed in the 1974 tornado. Her list of accomplishments is considerable. She was a member of the International Women’s Congress London, President of both the Ohio State Federation of Women’s Clubs and the National Association of Colored Women. She was one of the representatives from the United States to the International Congress of Women held in London in 1899. In her later years, her skills as an author were recognized. “First Lessons in Public Speaking” was one of her better-known publications. Perhaps the best remembered work was “Homespun Heroines and Other Women of Distinction” which contains valuable biographical information of sixty African-American women born between 1845 and 1900. Many people benefitted from her extraordinary talent and her students learned well the art of elocution. Her loss was felt around the world when she died Sept. 16, 1949. The Hallie Quinn Brown Memorial Library at Central State University is named in her honor as is the Hallie Q. Brown Community House in St. Paul, Minn.
Joan Baxter is a local resident and long-time historical columnist.